Is a 0% Interest Credit Card Just a Blatant Lie In a Pretty Package? Oh my god!! A zero percent interest credit card?? Does that mean I will have unlimited money and can buy whatever I want forever in my thirties? And then I can simply pay money back super slowly until I die…. interest free? I was listening to reruns of The Suze Orman show podcast the other day (it has sadly gone off the podcast air this summer) and a few people mentioned using a zero interest credit card and asked Suze for her advice. Here’s a simple answer: zero interest offers always expire. And card issuers almost always benefit. Here’s another simple answer: zero interest credit cards are usually a bad idea for the consumer. And then card issuers benefit. There are two different kinds of zero interest credit cards: deferred interest and waived interest. 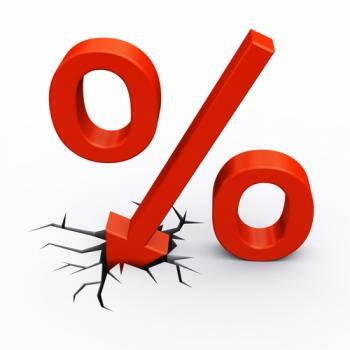 For both types of 0% interest cards, the 0% interest rate only occurs for a certain period of time (say, 6 months) and then expires. 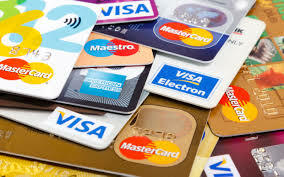 For both deferred and waived interest cards, after the 0% interest rate expires, the new interest rate is EXORBITANT- more than almost any other type of credit card. It could be as high as 26%, which is basically highway robbery. a) For a DEFERRED INTEREST 0% interest card, interest is actually accruing during the special 0% promotion period (that certain amount of time I mentioned above when the card is still zero percent), but it’s being deferred. So if you buy something on a 0% credit card that’s 0% for 12 months, interest occurs during those 12 months. but you won’t have to pay it until month 13. If you pay off your original purchase by month 12, you never have to pay that interest. But if you haven’t fully paid off your purchase by month 12, you get hit with THE FULL YEAR OF INTEREST CHARGES!!! So lets say you bought a $1000 bed on a 0% interest credit card that is deferred for 12 months. Let’s say that card has a deferred 23% interest rate. This means that about $20 in interest is adding up on your card every month. You won’t have to pay any of that interest for those first 12 months, but the card company has a record of it. If you pay off that bed within 12 months, you’ll never have to pay the interest. But if you just pay the minimum every month, the SECOND those 12 months are up you’ll be hit with a $240 deferred interest bill PLUS interest will continue accruing on anything you didn’t already pay off!! At a whopping 22% a month interest rate! This is terrible. b) For a WAIVED 0% interest rate, lets say you bought that same $1000 bed on a 0% interest credit card that is waived for 12 months. Let’s say that card also has a waived 23% interest rate. This means that for 12 months no interest is accruing on your card. If you pay off that bed within 12 months, you’ll never have to pay any interest. But if you don’t finish paying the bed off, the SECOND those 12 months are up you’ll be hit with a 22% a month interest rate! This is pretty bad, though not as bad as the deferred card. Credit card issuers count on you being dazzled by the zero percent interest rate and simply impulse grabbing one of their credit cards to make a big purchase. Don’t fall for it!! You’ll likely end up paying way more in the long run! For some 0% interest cards, if you’re late to pay or miss even one payment, the 0% interest offer is negated, and you’ll end up having to pay interest right away- before the 0% promotional period is even up! And it’ll be higher than other credit cards! Also, on some 0% interest credit cards, the 0% offer is only good for the first major purchase, and not the purchases thereafter. So if you continue using that 0% card, it won’t be zero interest anymore for anything other than your first purchase! Read the fine print on 0% cards. And of course, if you can, avoid purchasing things that you couldn’t afford without a credit card anyway. A lot of times when it comes to interest rates, credit card companies are selling you very blatant lies wrapped in very pretty packages.